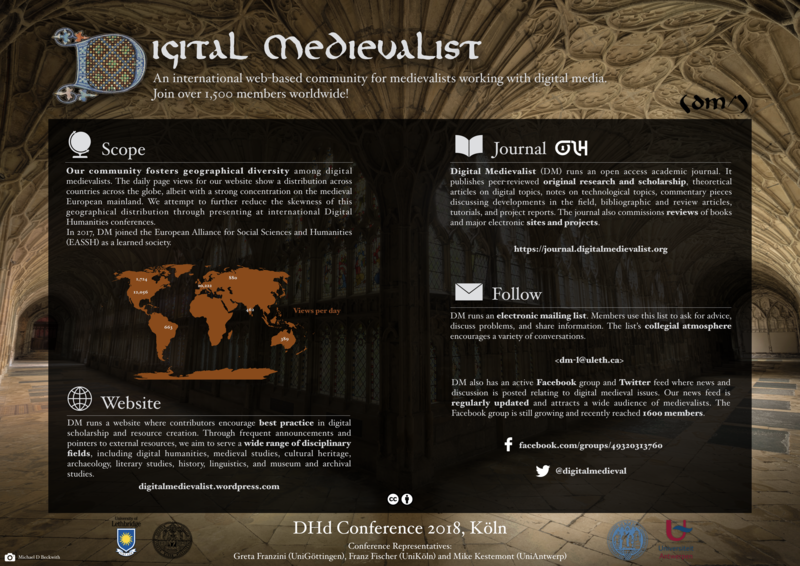 The DigiPal team (http://digipal.eu/) are delighted to invite submissions for their second symposium at King’s College London. This year’s theme is the implications of the increasing reliance of the scholarly community upon digital images and technologies. Bringing together art historians, palaeographers, medievalists and the Digital Humanities, the symposium will share theoretical approaches and methodologies and, crucially, test prevalent assumptions. Papers of 20 minutes in length are invited on any relevant aspect of digital approaches to the representation of script and manuscript art. We would like to facilitate a wide-ranging debate and so welcome submissions from scholars whose primary experience is not with digitising images, or necessarily the medieval period. To propose a paper, please email a brief abstract (250 words max.) to digipal [at] kcl.ac.uk. Please note that it is our intention to collect selected papers from the symposium as part of a forthcoming publication and so you may wish to submit an abstract even if you can’t attend. Several papers from last year’s symposium are being edited as part of our forthcoming volume, “Digital Palaeography” (Ashgate). This year Quadrivium is hosted by the Humanities Research Institute at the University of Sheffield under the auspices of the JISC funded project ‘Manuscripts Online’ and will focus on digital humanities and their value for postgraduate research. There will also be sessions on academic and non-academic careers and workshops on grants’ applications and other ‘generic skills’ sessions. The Quadrivium programme offers lectures, seminars, and networking opportunities over a two-day period to postgraduate students who works on medieval textual cultures, and will be of value to research students at various stages of their doctoral careers. 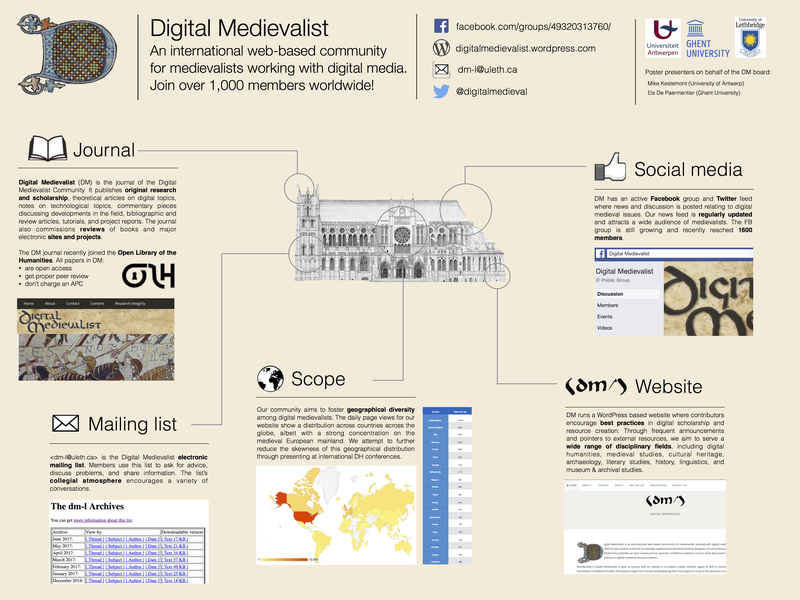 Initiated with support from the AHRC collaborative PhD training fund 2004-06, Quadrivium is organised by a consortium of participating Universities: Glasgow (2005), York (2006), Birmingham (2007), St Andrews (2008), Leicester (2009), Belfast (2010) and Glasgow (2012). The Medieval Manuscripts Research Consortium, an alliance of UK-based funded research project teams, is a collegial forum for sharing expertise and experience concerning project management and, in particular, the nurturing of PostDocs and PhD students and the promotion of collaboration among project teams and institutions. A volunteer is requested to search through the schedule and list “digital” sessions and papers below.